Karnataka State Police issued the recruitment notification for the recruitment of police constables to fill the total 2794 vacancies. 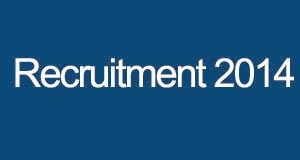 The recruitment details are available on the official website www.ksponline.co.in. The Police Constable (Men and Women) recruitment online application form is available at www.ksponline.co.in and interested candidates can apply online through the following direct apply link on or before the last date 27 March, 2014. Read the following recruitment details and then apply online. Job Location: Under the state Karnataka. PUC (10+2), 12th standard (12th Std- CBSE Board, 12th Std- ICSE Board, 12th Std- SSE Baord), JOC, JLC or Equivalent. Age Range: 19 to 25 years for General and 27 years for SC/ST & other reserved category candidates. More details are given in the advertisement document. Rs. 250/- for General and other unreserved category candidates. Rs. 100/- for SC/ST & other reserved categories. More details are given in the recruitment notification. Download from the following link. How To Apply For Karnataka State Police Constable Vacancies 2014? All the interested and eligible candidates can apply online for the huge vacancies for police constables in Karnataka state through the website www.ksponline.co.in on or before 27.03.2014. Download the following recruitment notification for more details information regarding these constable vacancies. To know more about recruitment or to contact directly to the respective recruitment authority, you can write your doubt in mail at recruitment2014@ksp.gov.in.